A set of the best fake eyelashes can take your eyes from average to unforgettable. But it's not all fluttery lashes and fuller-than-thou lash lines - wearing falsies comes with drawbacks. The main one? Glue. 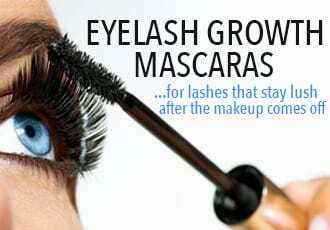 To get false lashes to stay, eyelash glue is a necessary evil. The crappiest eyelash glues dry in conspicuous clumps, irritate your eyes and can even rip off a chunk of your lashes along with fake eyelashes. Not to mention that if you use falsies everyday, the chronic irritation from chemicals found in eyelash glue can cause your own real lashes to grow weaker and more brittle over time. But as necessary as glue is, it actually doesn't have to be evil, even if you have sensitive eyes and a fragile lash line. Choose the best eyelash glue for you and you'll get invisible staying power that lasts all day, irritation-free and comfortable wear, and gentle strength that doesn't rip out your natural lashes when it's time to take the falsies off. So what are these best lash glues and where do you find them? Here's the line up! Here's the roundup of the best eyelash glues that are gentle enough for sensitive eyes and strong enough to hold even the longest, fullest falsies into place all day! 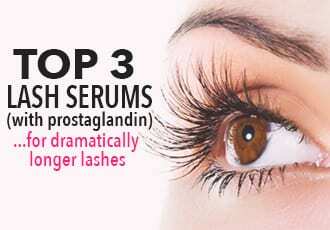 There's really just three things you want from an eyelash glue: strong staying power, invisibility and no irritation. Cardani's Secure Hold Glue passes all three checks with flying colors. This clear-drying glue is latex-free, formaldehyde-free, gluten-free, BPA-free, cruelty-free and vegan. And it stays - we mean, really stays - put through pretty much everything you can put it through. This doesn't mean you want to go walking through a car wash, but your everyday sweat, tears and flirtatious lash flutters won't budge this glue. On top of all that, this eyelash glue makes application ridiculously easy. Love that it comes with a brush applicator for precise glue-ing - no risk of getting glue all over your real lashes - and that it has a slightly blueish tint to it that make it really easy to see as you apply it. Oh, and don't worry about the blue thing - it dries totally clear. Overall, the gentlest, best eyelash glue for sensitive eyes! 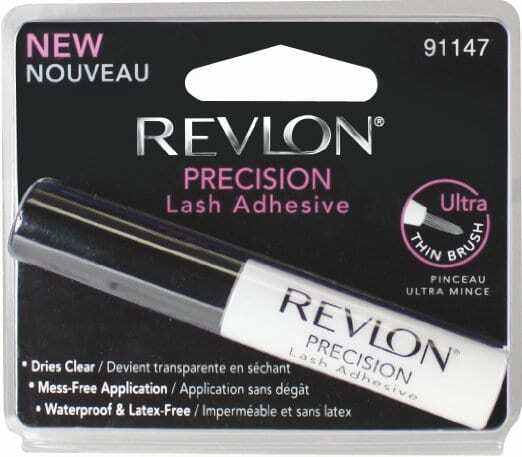 If you're headed for an event where you absolutely, positively need your falsies to hold up no matter what you put them through - pick up a tube of Revlon's Precision Lash Adhesive. This eyelash glue is hands down the strongest you'll find - hell, you could probably use it to hang frames on the wall. It's also easy to use - it has an iridescent blue sheen that makes it easy to see where you apply it, dries, quickly and invisibly, and is latex- and formaldehyde-free. The downside? Like we said, it holds damn well. In fact, it's so strong that you really always want to take it off with eye makeup remover, preferably Revlon Eyelash Adhesive Remover, which they may have invented just to get this super strong eyelash glue off lashes. 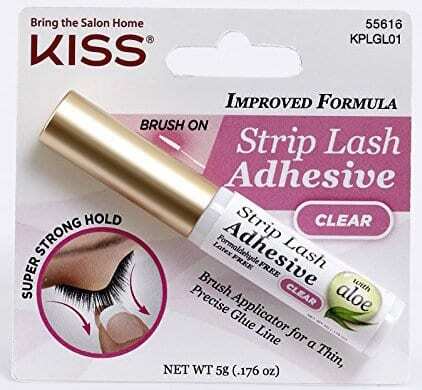 Overall, a great eyelash glue but you've been warned: always enlist the help of a remover or you'll lose some of your natural lashes in the process! This eyelash glue hails from Germany and is overall pretty perfect. For starters, it doesn't have that strong glue smell, is latex free and gentle on the eyes. It's even formulated with aloe vera to give your eyelids a bit of nourishment while holding your falsies in place. Speaking of holding falsies, this one performs! It can be a little weird to use at first, though, especially if you're used to hard-drying lash glues since this one has more of a flexible hold. It's one that's waterproof and lasts all day, though - they claim it can go 24 hours. We haven't tested it that long but it does hold up well for all day wear. The downside is that it's not fast drying. They recommend you let it dry for around 30 seconds before you apply but it's better to wait for around a minute for immediate "stick." 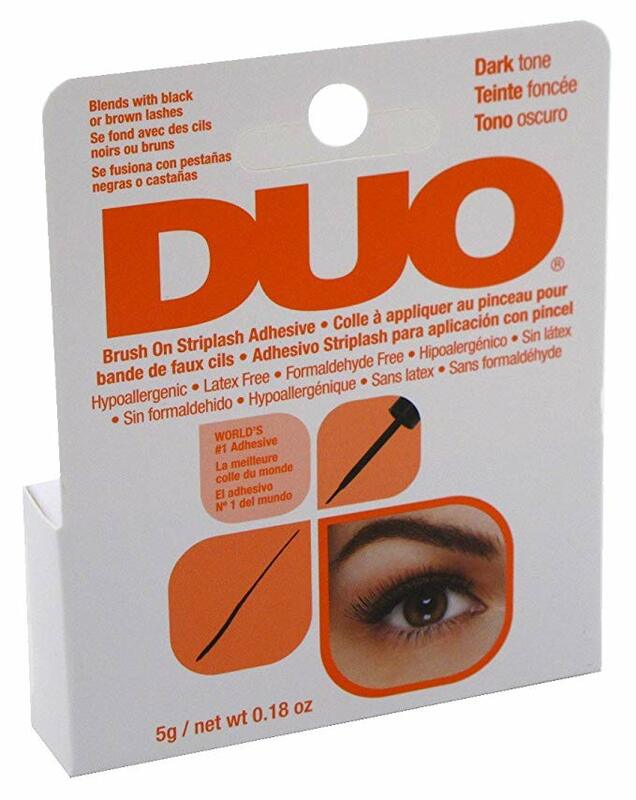 The Duo Brush On Striplash Adhesive is probably the best bang for your buck when it comes to eyelash glues. 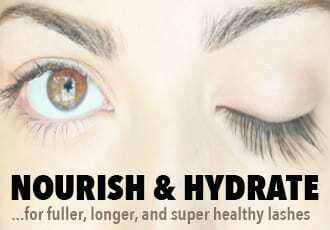 It's latex- and formaldehyde-free and even formulated with vitamins A, C, & E for lash health. On top of that, it's really easy to use - no waiting for the glue to get tacky and it changes from white to blue so you know exactly when to apply it to your lashes. As for staying power, it's decent to strong. After several hours, there is a bit of lifting at the corners so go ahead and apply extra at the edges. Oh, and it can be difficult to remove bits of glue from your natural lashes if it gets on them so this is another one you'll definitely want the help of eye makeup remover. 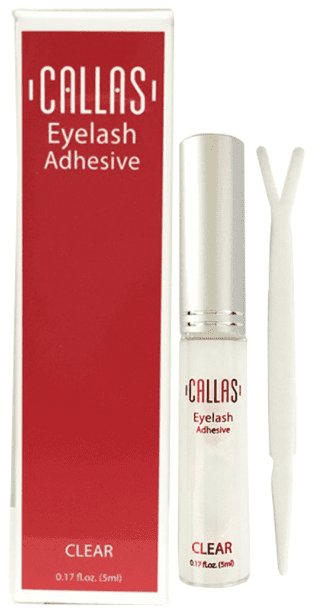 Hailing from Korea, the Callas Eyelash Adhesive is pretty new to the US market but it's already becoming one of the best eyelash glues. It's latex free and good for sensitive eyes but the best part is that it's strong enough to last all day - even through workouts and tears - but is easy to remove. And that's our favorite thing about this lash glue: It comes right off without taking any of your precious natural lashes along with it! 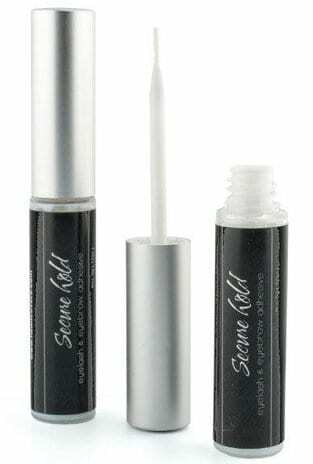 Oh, and if you're looking for a double eyelid glue, this one is perfect for that function as well - it even comes with a tiny poke-y stick to create the crease. Ardell's Lash Grip does what it claims to: it grips lashes. The problem is that if you get it on your own natural lashes and it dries that way, it'll "grip" those out right along with the falsies. Not fun. And that's just the top of the crappy lash glue iceberg. This glue is the tacky sort and if it gets wet, it doesn't hold up and comes off in a whitish, stringy mess. Also, if you don't use the glue quick enough or expose it to air too often, the glue inside will dry and become tacky and useless. But the thing we really don't like about this eyelash glue is that it contains formaldehyde, which is not something you want near your eyes at all. Skip this one. 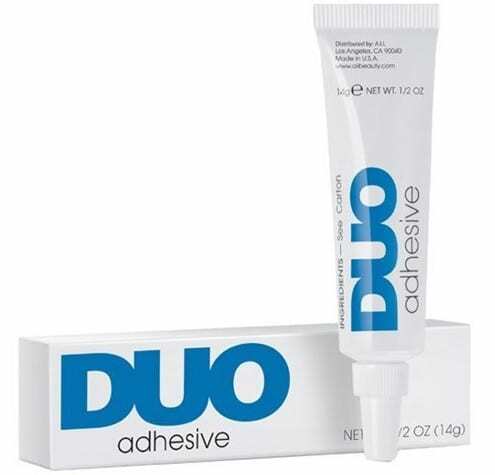 The clear version of Duo's Lash Adhesive has the advantage of actually going on (mostly) clear. It also has great staying power and pulls off easily without taking a chunk of your natural lashes along with it. But that's where the little love affair ends. This glue has both latex and formaldehyde in it and is definitely not for sensitive eyes. It also doesn't dry *completely* clear so if you've got a darker skin hue, the slightly white cast of the glue is going to be obvious. Skip this one. This eyelash glue is...perhaps too much of a good thing. It's got ridiculously strong staying power - as long as you use it before it dries up, which it tends to do quickly. But the staying power is a little too much - sure, it keeps your falsies on all day but it also makes them near-impossible to get off. Even after oil or water based eye makeup removers, there's still a bit of sticky residue that remains and the repeated attempts to scrub you skin and lashes clear of this glue may leave your eyes red and irritated. Skip this one. How does one chose between the clear/white and black? I tend to wear black eyeliner, should i go that route. I am still learning how to put falsies on.